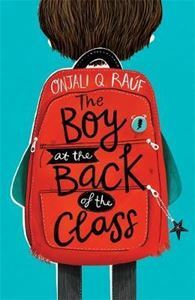 Told with heart and humour, The Boy at the Back of the Class is a child's perspective on the refugee crisis, highlighting the importance of friendship and kindness in a world that doesn't always make sense. There used to be an empty chair at the back of my class, but now a new boy called Ahmet is sitting in it. He's nine years old (just like me), but he's very strange. He never talks and never smiles and doesn't like sweets - not even lemon sherbets, which are my favourite! But then I learned the truth: Ahmet really isn't very strange at all. He's a refugee who's run away from a War. A real one. With bombs and fires and bullies that hurt people. And the more I find out about him, the more I want to help. That's where my best friends Josie, Michael and Tom come in. Because you see, together we've come up with a plan. . .